A new vintage logo mock-up to help you create a beautiful display for your branding projects. The PSD file is well organized and as usual includes smart objects which allow you to easily place your design. This resource was created by DesignDistrict. 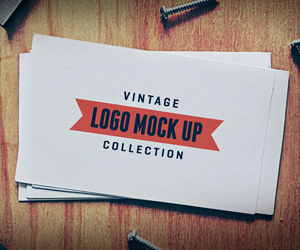 Get the full set of 7 vintage logo mock-up templates here.